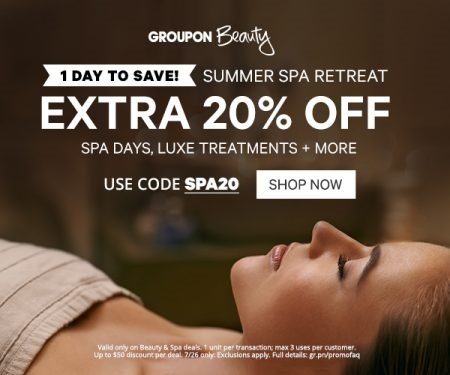 Groupon is offering an extra 20% off today n Spa days, Luxe Treatments and more with the promo code below! Enter the promo code SPA20 at checkout to get the discount. Offer available today only, Tuesday, July 26, 2016.